The Cambridge Festival of Ideas rolls around again this week, with lots of great events to get involved with, including a lot of events in the Classics Faculty. As always, the Greek in Italy project has made a couple of contributions. Geoff’s talk “Did Language Matter? 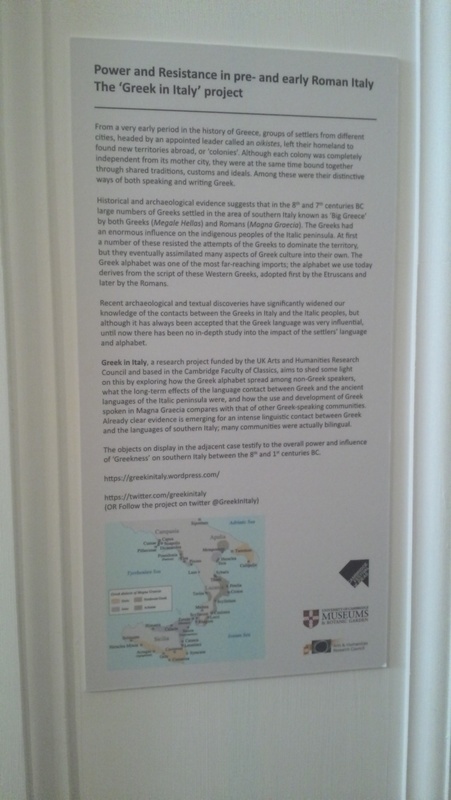 Local Versus Imperial Languages in Classical Antiquity” has already sold out – but I’d also highly recommend the small display we have set up in the Greek and Roman gallery of the Fitzwilliam Museum. The display was put together by our excellent summer intern, Valentina Lunardi, who’ll be writing a full post on the project blog during the Festival. 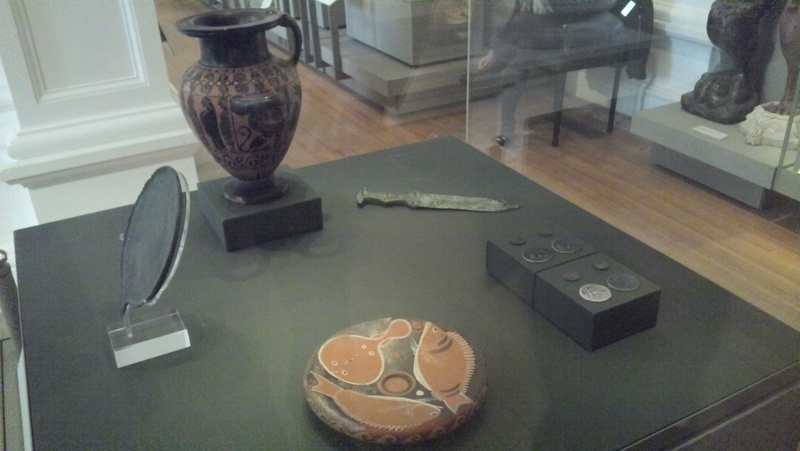 She wrote a fantastic display about a whole range of objects Greek and Greek-influenced objects from the Fitzwilliam’s ancient Italian collection, including coins, a dagger, an Etruscan, a dish decorated with fish and our famous mascot pot. It’s a great little display, perfect for learning something about our project on your way to some tea and cake in the Fitz’s cafe – please check it out if you are in Cambridge in the next few weeks, and let me know what you think.